You may have seen Qi Yun’s beautiful Instagram photos, sharing her OOTDs or latest beauty obsessions. And you might have noticed a distinctive dimple on her left cheek. What you might not know is that Qi Yun wasn’t born with this dimple. As a child, Qi Yun participated in Wushu, a complex form of Chinese martial arts that involves an extraordinary amount of discipline and hard work. Her journey on this path was a tough one, considering how she didn’t receive any support from her decision, instead earning rebukes from her friends and family that the sport was ‘too violent’ for a girl. A misplaced spear thrust during her choreography then led to a gash on her cheek that left a visible scar, altering her life as she knew it. Instead of letting it beat her down, though, she proceeded to embrace it as a part of her identity. This is despite her struggles with society’s idea of beauty throughout the years, having contented with acne for several years of her life. She doesn’t shy away from talking about the issue at hand, addressing how she received negative judgment from friends who didn’t face the same issue, with them lacking an understanding of the physical and mental pain she suffered. The 29-year-old beauty influencer is now the director of successful social media agency, Envis8ge. According to naysayers, young women were not capable enough of starting their own business, which served to fuel her passion and ambition for working in the industry. It also motivated her further to lend her voice when it comes to helping young girls and standing up for women’s rights. Impressed and inspired? We know we are. But the real question is — how does Qi Yun manage to maintain and confidence? Luckily for you, we managed to find out exactly how in an interview with her. HOW DOES QI YUN GAIN AND MAINTAIN HER CONFIDENCE? The answer, apparently, lies in the attitude you possess. “I realised that, more often than not, we are our own worst critics. There on, I made it a commitment to criticise myself less and love myself more. Slowly, I also learnt to come to terms with the way I look – this is me and I’ll make the best out of me. This positivity seeped into other areas of my life. The scar later became a unique identity where I found and created myself. WHAT DOES BEAUTY MEAN TO QI YUN? DOES QI YUN HAVE ANY TIPS FOR OUR READERS WHO WOULD LIKE TO GAIN MORE SELF-CONFIDENCE? Feel the fear and do it anyway. That’s actually my life motto too! I may look confident most of the time but, to be honest, I can be a wreck of nerves, especially when it comes to making big decisions or trying out new things. I have always been very self-conscious about my side profile and have been wanting to do something about it for the longest time, yet the fear of societal views held me back. This year, I decided to step up and accept injectables to enhance my appearance – I’ve never felt more confident. If there has been something you have been meaning to do but held back due to certain worries or fear, here’s my tip. Recognising and acknowledging the fear rather than than side-stepping it can help move us out of our comfort zones and improve ourselves. Well said, Qi Yun. Well said. 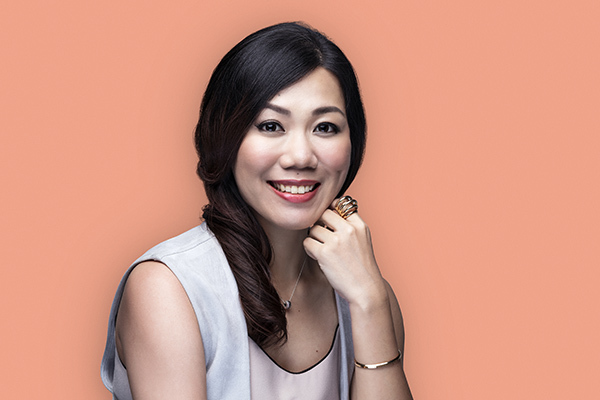 We first learnt about her story when Merz Aesthetics first unveiled their new consumer campaign: Merz Aesthetics Serendipity Journey. WHAT IS THE MERZ AESTHETICS SERENDIPITY JOURNEY ABOUT? Created with the key purpose of empowering women in the process of self discovery and self acceptance, Merz Aesthetics has gathered 11 influential women representing 11 different countries in the Asia Pacific region to star in this campaign. Thien Qi Yun represents Singapore in this campaign. The aim behind it? To start a conversation about creating positive behaviours, attitudes, and mindsets when it comes to beauty, self-confidence, and ways to enhance one’s appearance. Find Qi Yun on Instagram as well as on her blog.